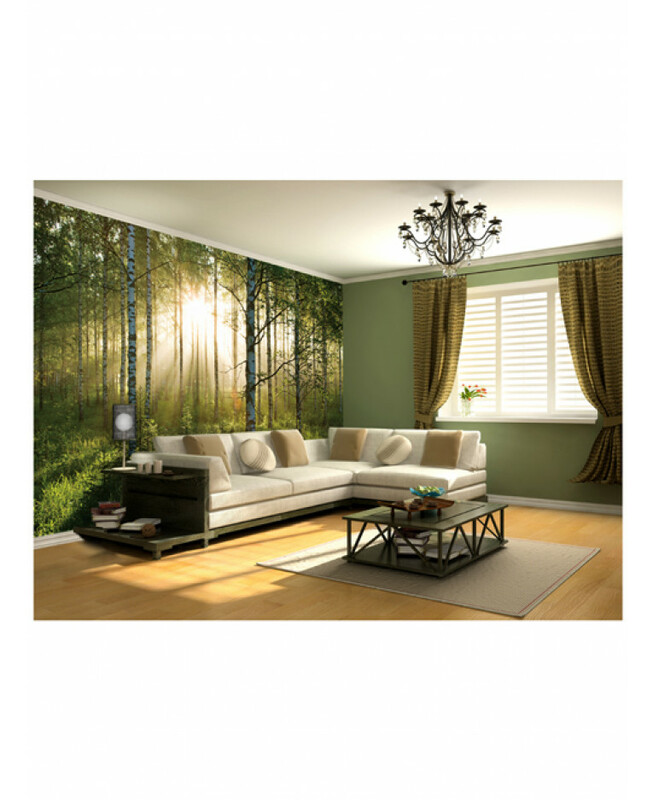 Transform any room with this contemporary Forest Wallpaper Wall Mural! Measuring a massive 232 x 315 cm, it is big enough to cover an entire wall to create a fantastic feature. The mural is designed so that you can trim the tops and sides to fit your wall, without any loss to the main image. 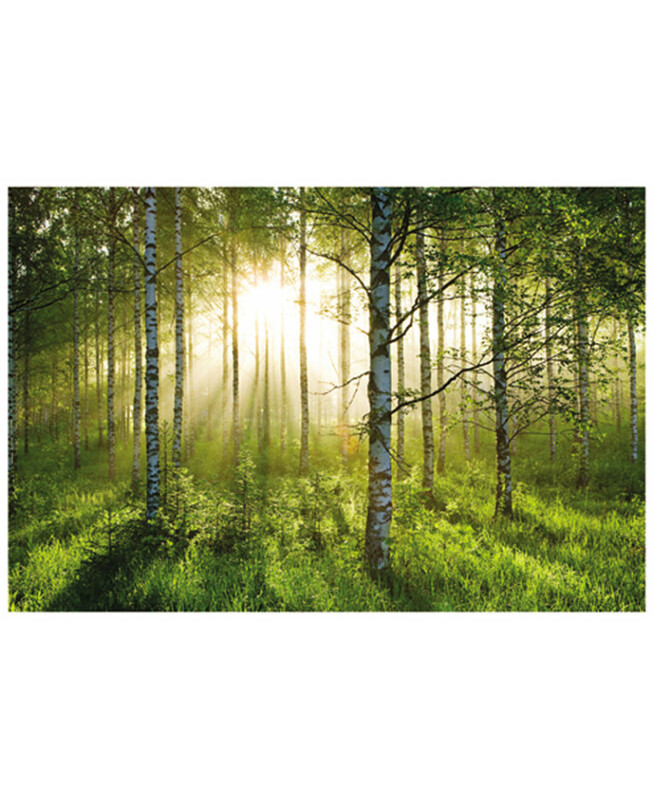 The design is made up of four pieces and features an image of the sun beaming through a lush, green forest. A great alternative to conventional wallpaper!